This sounds pretty amazing. Something to aspire to? Every wanted to build a schedule in reverse so you know how when you need to start? Here’s my quick how-to post that I recently updated to include some screen captures to make the whole process more clear. Let me know if this was helpful! This is a interesting article from the WSJ that has several examples of wasteful activities / programs started just because a CEO or president says something. Have you seen anything like this at your company? Typewriter Habits – Why do we still do this? This is a very comprehensive post on having one-on-one meetings with a lot of links to other resources. Do you have regular one-on-one meetings with your manager or your employees? Is there anything from this post that you will be implementing going forward? Decision Matrix: What should you delegate? This post explains a method of categorizing your decisions so you can determine what to delegate and what you need to do yourself. Have you used a tool like this before? How did it work out for you? I stumbled across this video the other day and I was amazed that it only takes 7 seconds for your engine to consume as much fuel as it takes to start the car. In city traffic, these start/stop systems save at least 4% of your fuel and up to 8%, which is a huge amount for such a simple change. Did you know you can learn how to be better at learning? Here is a great system for learning anything like a master. One of the ways to set yourself apart as a Project Manager is to have a deep understanding of everything, and that requires a lot of learning. Whenever I have used this technique it has accelerated my learning. I am always amazed how fast precast goes up. 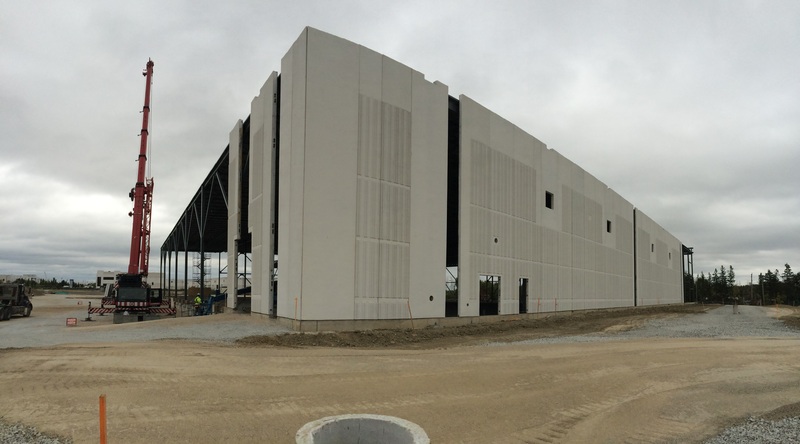 They can erect the panels for a 100,000 sq ft warehouse in a little over a week with favorable weather conditions. There is still a lot of finishing work, including caulking between the panels but it’s a pretty dramatic change from the steel structure to a mostly enclosed building. This picture is of my Agrocrop Exports Ltd. project in Bolton ON and was taken on 2016-09-29. Why should Project Managers read this: Often as a Project Manager you are in a position of responsibility for people who are older and often more experienced than you. This article summarizes a study by Harvard Business Review on how younger leaders are perceived, both good and bad points. I am not alone: What this means is that most younger leaders / project managers will experience these perceptions of them. Here is a checklist of things to work on: I am a firm believer in the Strengths Based Leadership model, so I really appreciated the list of positive perceptions identified.